Here you can find info about us and our up-coming concerts. You can also order tickets, read about joining the choir and watch and listen our videos. Happy surfing! Listen one of the all-time favourites from our Christmas concerts. Säde Bartling has arranged a classic song for Kilven Kuoro in 2004. Since then it has been a tradition in our yearly Christmas concerts Valoa! (trans. Light) in Uspenski Cathedral. Maa on niin kaunis is a familiar melody in many countries. In Finland it is one of the most loved songs we sing during Christmas. Come to our concerts or watch more videos. Read info about joining the choir here. Main language of the choir is Finnish. On May 18th, it will be 100 years since the famous Finnish choir composer Toivo Kuula died tragically. 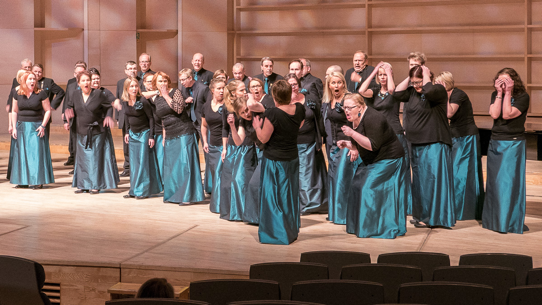 On that date, three choirs, Helsingin Laulu, Kallion kantaattikuoro and Kilven Kuoro, will commemorate this composer in a spring concert and take a musical journey in his footprints all the way to present days. Order your tickets from here.